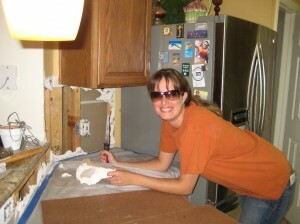 If you are an average homeowner like me, you feel that some home repairs are much too large and difficult to tackle. But there are quite a few things that anyone can improve on or fix without too much difficulty. 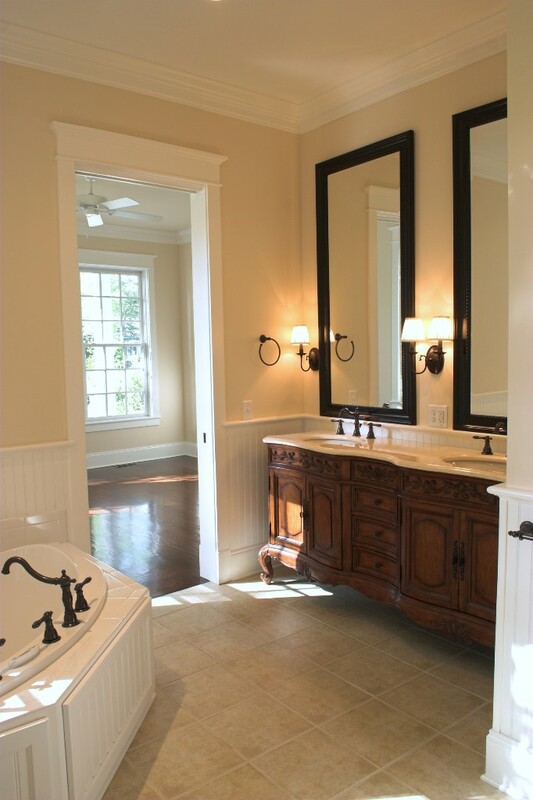 Decide on your project that is not too difficult if this is your first attempt at home improvement. Get a notebook or notepad and write down a complete list of all the things you are going to need. List all of the tools that you need, check to make sure that you have these tools, if not, put them on the list to purchase. Next make the materials list. Trust me the list is very important. I’m lucky that my home improvement store is less than ½ mile from my house but that didn’t stop my from several daily trips on my first remodel job. Check prices at several places to make sure you are getting the best price you can. Usually is there is one home improvement store, their competitor isn’t too far away. If you have any friends or family that you can call in some favors for, it will help,at least with the demo portions, if you are doing demo. My daughter and I have a blast doing demo on both my bathroom and kitchen backsplash area. You just need to make sure that you are not standing close to each other if you are swinging hammers. If you are lucky enough to have some help, remember, these folks are not being paid and are there out of their friendship to you or paying you back for you helping them. Don’t work them like slaves and remember to have plenty of refreshments on hand. Pay for their lunch or have lunch already made up and be sure to take the lunch break and eat outside if you can. Don’t drink alcohol during these breaks. Alcohol and power tools don’t mix well. Make sure everyone wears eye protection and gloves if possible, especially during demo. If you get to a point that you can’t figure something out, check out YouTube to see if you can find any tips or hints. If you can’t complete the project, don’t be embarrassed to call a professional in to help you. The guy I had to call was kind enough to show me how to do it correctly as he was doing it. I was able to learn and he got paid. If you find yourself getting irritated while working on your project, STOP. If you don’t, the chances of you making a large costly mistake are enhanced. Trust me. I finally had to realize that taking a 10 min break and going outside and taking a few deep breaths really helped me calm down and focus on how to complete my task without getting pissed off. Remember that when you plan your home improvement project, it is supposed to be fun and be beautiful. If you can’t enjoy it, you won’t be happy with the final outcome. If you have friends and family come over to help, make sure someone takes a few photos along the way. It will bring back fun memories when you look at the photos in the future. • If you have long hair, pull it back in a ponytail. • Don’t wear jewelry as it can get damaged during any home improvement task. • Keep plenty of wet paper towels to clean up any mess nearby.